Amazing Grace, the Aretha Franklin documentary from 1972, is finally hitting theaters on Friday. Producer Alan Elliott has been waiting for this moment for nearly 30 years. 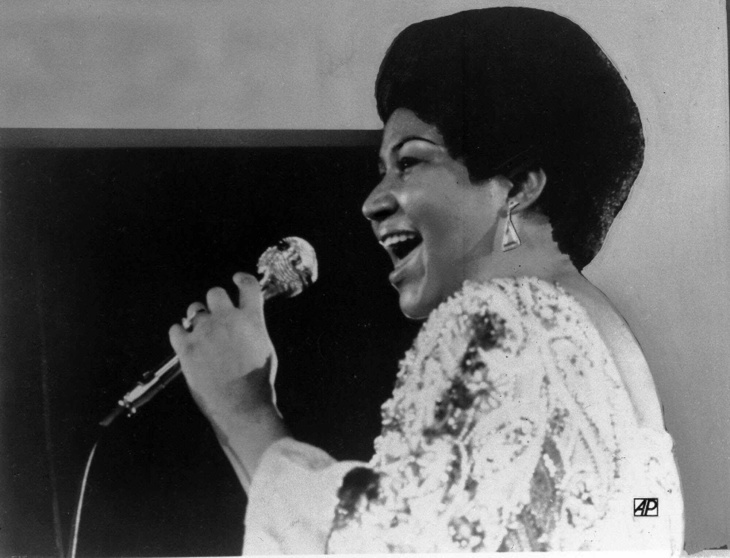 The film is the accompanying documentary to Franklin's legendary 1972 album "Amazing Grace," which was recorded in front of a full congregation at the New Temple Missionary Baptist Church in South L.A. and became the top-selling album of her career and the best-selling gospel album of all time. Director Sydney Pollack filmed the performance and the ecstatic reactions of the congregation, which included gospel icon Clara Ward, as well as Mick Jagger and Charlie Watts of the Rolling Stones. But due to technical issues, "Amazing Grace" the film never saw the light of day. Fast-forward to 1990: Alan Elliott learns about the unreleased film from Atlantic Records producer, Jerry Wexler, one of the original producers of "Amazing Grace." Elliott recalls, "I said to him, 'so what happened?' and he said, 'I made a great record.' And that was his way of saying, 'I didn't screw up, the film company did.'" "There are these hilarious camera men who are dressed in flowing satin robes. Not what you would think of as a film crew in the modern day and age," Elliott said. "These people are in every shot. And when you look at it and see that there are no slates, you go, 'okay how was anybody planning to sync this up?' And evidently nobody had a plan." But what seemed like an insurmountable obstacle to Pollack in 1972, was resolved in just three weeks by a team of film restoration specialists, hired by Elliott. The legal issues were a harder nut to crack. "The movie got sold to Lionsgate in 2015," Elliott says, "and then Aretha didn't want to sign the contract and we couldn't figure out why." Sabrina Owens is Franklin's niece and the executor of her estate. Elliott says, "she came to me and said, [Franklin]'s got pancreatic cancer...I understood it because, spoiler alert, the last song in the movie is the first song she ever recorded, 'Never Grow Old.'" Elliott realized that releasing the film at that point would be insensitive. "I had made this eulogy to Aretha Franklin," he says, "I don't know if you'd want to see your life flash before your eyes." Elliott put the project on hold. Only after the Queen of Soul's death last year did the Franklin estate reach an agreement with him. "I didn't start the process to have Aretha Franklin mad at me," he says. "Never Grow Old," the final song of the album, is one of Franklin's most moving performances in Amazing Grace. It lasts a full 15 minutes. At its emotional peak, the congregation audibly gets to its feet, echoing her phrases and shouting words of encouragement. "This was Aretha Franklin at the height of being Aretha Franklin," Says Elliott. "She [had] 13 number one R&B hits in a row. She [was] getting to a level where she [wasn't] so worried about making a hit record, she [was] going to make an artistic statement." In the early 1970s, a number of gospel songs hit the mainstream charts, including Melanie's "Lay Down" and George Harrison's "My Sweet Lord." But none could compete with the authenticity of "Amazing Grace." "Aretha Franklin is there to tell you, that's hers to take home," Elliott says. Amazing Grace will be select theaters starting April 5.